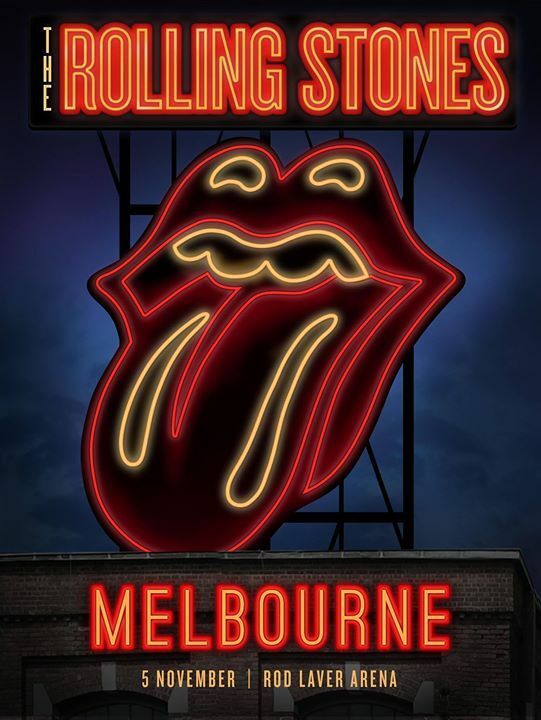 This thread is for live updates and comments regarding The Rolling Stones performance at the Rod Laver Arena in Melbourne Australia 5 November 2014. Please tell us your pre- and post-show thoughts and comments here. Edited 1 time(s). Last edit at 2014-11-05 04:06 by bv. Enjoy the show tonight guys/gals! Getting very excited for tonight. 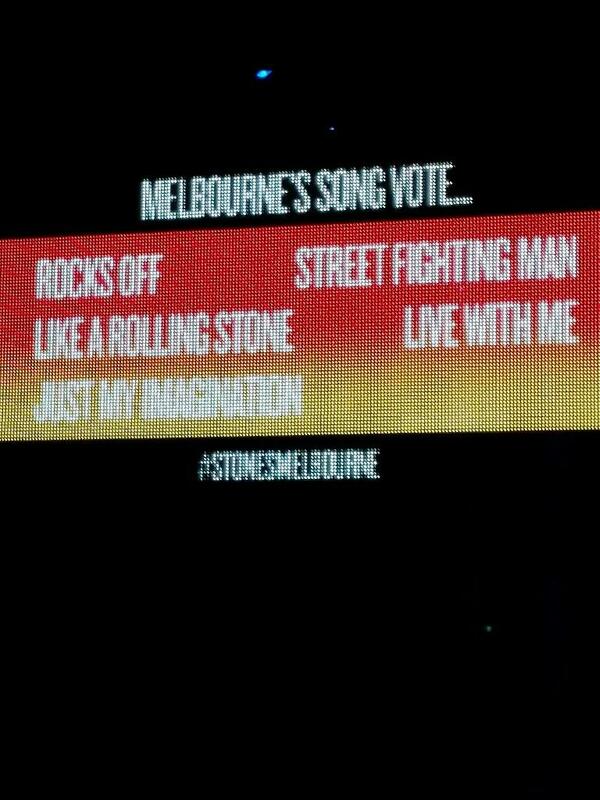 The Stones always play well at Rod Laver and take risks with their set lists. It will be their 5th ever show there (and Jaggers 6th) so they'll be pretty comfortable. The Melbourne crowds are always the most enthusiastic too, which makes the band step up a notch. It should be pretty special. Edited 2 time(s). Last edit at 2016-02-07 19:46 by colonial. It's actually Jagger's 10th coz he did 5 solo gigs in 1988! Edited 1 time(s). Last edit at 2014-11-05 06:33 by bonddm. Wristbands being given to the package people now. The pit queue (non package) is the shortest I've seen. Less than 50 people at this time. Do you have a ticket for the pit? Here's to another great show for you IORRians in Melbourne...have a blast! Holy S**t......a lucky dip TONGUE PIT tkt exists!!!!! Congrats!!! Enjoy the show guys and gals! You got lucky with the Lucky Dip Irix ? Have a great time in Melbourne today everyone. A great city I lived in back in 1969 and '71. Edited 2 time(s). Last edit at 2014-11-05 10:55 by Irix. "Tonight's the night Melbourne! Doors are now open and the band will be on stage at 8.30pm! #StonesMelbourne"
He changed the furry mat under that little table from white to black??? To those going, have a safe and fun time!!! Edited 1 time(s). Last edit at 2014-11-05 11:20 by Irix. Edited 1 time(s). Last edit at 2014-11-05 11:10 by Irix.